The mule horse for sale is an animal that a lot of people have heard about, but many people do not know how mules are made. Well, mule horses are the offspring of when you mix a male donkey with a female horse. From time to time, you can find a male horse that has mated with a female donkey, and that is called a hinny, but that is very uncommon. That is because the mule is a lot more easier to breed than a hinny. A mule is an animal that is normally going to weigh about 800 to 1000 pounds. The funny thing is that mule horses do not sound anything like a horse or a donkey, despite the fact that those are its parents. In fact, a mule has more of a whining noise that it makes. People say that it sounds like it starts off with a whinny noise and usually ends with a hee-haw. In a few cases, you can even have mules that will whimper instead of whine. As you can guess, the coat of the mule actually varies a lot. In fact, most mules are going to be based on the different varieties of horses. So why do people like mules over other animals? Mostly because the mule is an animal that has sobriety, and patience. Not only that, but they are very sure footed. In fact, that is why a donkey and a horse were mixed. The mule is sure footed like the donkey, but it has the strength and the courage of the horse, which the donkey does not have. Usually, mules only work as working animals. In fact, a lot of people prefer to have working mules than horses. That is because the mule is an animal that shows less impatience under the pressure of very heavy loads. Also, mules have a lot tougher skin than horses, and thus, do not get hurt as easily. The good news does not stop there for mules, however. 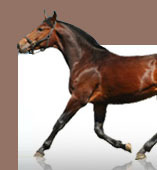 They also have harder hooves than horses, and they are naturally resistant to things like insects and diseases. Thus, it seems like mules are better in just about every way. However, there are a few things that make horses better than mules. For example, the mule is an animal that is generally less tolerant towards dogs. Horses seem to get along well with dogs, for some funny reason. That is why horses and dogs can hunt together. However, the mule does not like dogs and usually cries a lot when they are around. Almost to the point where it could drive you crazy. 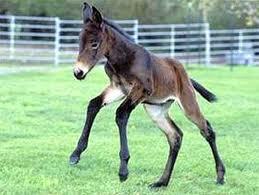 Mules also have a bad habit of being able to strike out with their hooves in any direction. Horses are known to be able to do that backwards and that it is. However, mules have the ability to do that in any direction, and that includes sideways. They normally do not do that to humans, but they will put a dog in their place really fast. Overall, mules are great to have around the farm to help you. However, if you are looking for something fast to ride on, the mule is not for you. It would be better to stick with a horse.